The wait is over. Google has unveiled its newest smartphones, the Pixel 3 and Pixel 3 XL, and they’re fantastic. They’re beautifully designed, and use Google’s AI to great effect. We were lucky enough to get our hands on the Pixel 3, and here’s what we made of it. The Pixel 3 has a glass front and back, so it really does look and feel luxurious. The glass back is made up of a single pane with a two-tone look. The bottom half has a matte finish, which gives it a nice grip – especially when compared with other all-glass phones. The matte finish also seems to be good at avoiding fingerprints. Even after we used it for a while, the back of the Pixel 3 was still gleaming. And then there’s Active Edge, a smart design feature that we first saw on the Pixel 2. With a simple squeeze of the Pixel 3, you can perform various tasks like opening the camera or calling up Google Assistant to get the help you need. You’ll be able to choose from three interestingly named colours – Clearly White, Just Black and Not Pink (which we’d describe as being kind of pink. Sorry, Google). The Pixel 3 has an amazing 5.5-inch display. It’s a Quad HD+ OLED affair, and it’s full of super-sharp detail, rich colours and gloriously deep blacks. If you’re watching your favourite blockbuster movie, it’ll look fantastic. It’ll sound fantastic too, with the Pixel 3’s dual front-firing speakers blasting sound outwards and upwards. The speakers are much louder than they are on previous Pixel phones, so you'll really hear the difference. You’ll be using Top Shot a lot. It’s a feature that uses Google AI to give you the best possible picture. When you press the camera shutter on the Pixel 3, Top Shot actually takes a whole series of photos, and then recommends the best one. So if you’ve been unlucky enough to capture that moment when someone’s blinking, Top Shot will find the moment when everyone’s smiling and their eyes are open. Prepare to ditch those selfie-sticks – Group Selfie Cam is all you need. This feature uses the Pixel 3’s dual front-facing cameras to help you take wonderfully wide-angled selfies. You’ll get more background and more of the gang into every shot. To help you get up close to the action, there’s Super Res Zoom. It digitally zooms in to whatever you’re pointing the Pixel 3 at, then crops the photo and sharpens up the image. The results we got from it really impressed us, and we were able to pick out lots of details in far away buildings that we shot. The Google Pixel 3 is powered by a Qualcomm Snapdragon 845 processor, paired with 4GB RAM. There’s also a Titan security chip in there, which Google says will protect any sensitive data and make the Pixel 3 more secure. We put the Pixel 3 through its paces by opening several large apps at once and doing some multitasking. The apps launched quickly and everything felt smooth, responsive and reassuringly speedy. We didn’t have the handset long enough to test how long its 2,915mAh battery lasted, but by all accounts you should get a full day’s use before you need to head to the charger. And talking of charging, the Pixel 3 can be charged wirelessly, if you buy the Pixel Stand wireless charging accessory. Apparently, it can charge as quickly as the wired charging on the Pixel 2 phones. If you do hit the plug on the Pixel 3, you’ll get up to 7 hours worth of power from a 15-minute charge. 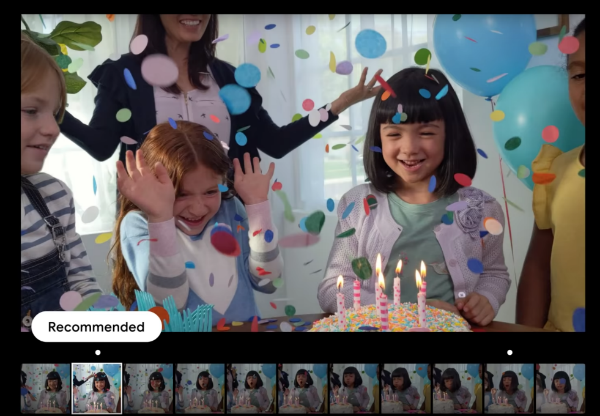 You can choose 64GB or 128GB internal storage, and it’s worth noting that Google is offering free full-resolution photo storage to Google Photos. So you’ll have to think of something else to use all that storage space for. Fancy being one of the first people in the country to own this phone? Then order the Pixel 3 here, and we’ll throw in YouTube Music Premium worth £60 for 6 months. The same deal’s available on the 6.3-inch Pixel 3 - so if size matters to you, order the Pixel 3 XL here.